Sailing through the beautiful Wu Gorge. 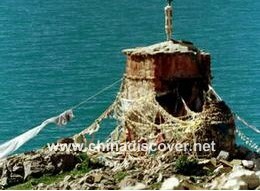 Shore excursion to Lesser Three Gorges or Shennong Stream(08h00-13h00). [ Optional ] Wu Gorge: Wu Gorge extends 40 kilometers from the mouth of Daning River of Wushan Mountain in the west to Guandukou of Badong in the east. The Wu Gorge is gifted with exquisite peaks and lush mountains and ranges. It's deep and serene with changeable weather. The rolling River twists and turns and boats zigzag their way along, as if cruising in a fantastic gallery. 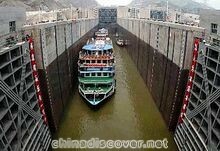 Sailing through the shiplocks of the Three Gorges Dam. Shore excursion to The Three Gorges Dam Site (08h00-10h00). Arrive in Yichang at 13h00. Upon arrival at the dock, pickup by our English speaking tour guide and drive to Yichang airport for your flight to Shanghai. Upon arrival in Shanghai airport, be met and drive to hotel. Free time for the first night in Shanghai. The Three Gorges Dam Three Gorges Dam, the largest water conservancy project ever undertaken by man and it has been a dream for several generations of Chinese people. It is 2,335 meters long, 185 meters high, 18 meters wide on the top and 130 meters wide at the bottom. Sighseeing and culture tour in Shanghai. 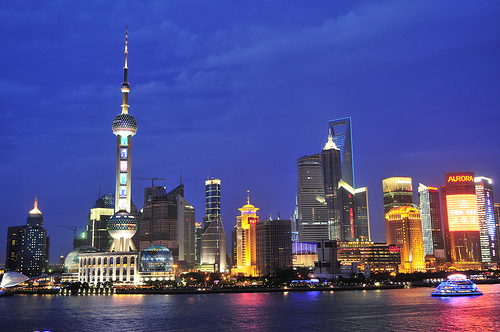 Continue your sightseeing tour in Shanghai. Transfer to train station for your train to Suzhou.Pikup from Suzhou railway station by our local tour guide in Suzhou. 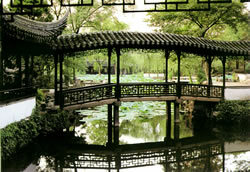 Start to visit ancient town of Suzhou. Enjoy night Garden Show in the Garden of the Master of the Nets in the evening. Stay overnight in Suzhou. [ Optional ] Tiger Hill: Tiger Hill (Huqiu) is the most famous sight in Suzhou city, enjoying the reputation of "The first scenic spot in Wu area" by its imposing beauty, including Leisure Spring, Testing Sword Rock, Third Spring, Broken-Pillar-Hall and Mountain Villa Wrapped in Emerald Green etc. Its history can be traced back to 2500 years ago. The Tiger Hill Pagoda in the park is the landmark of Suzhou city.